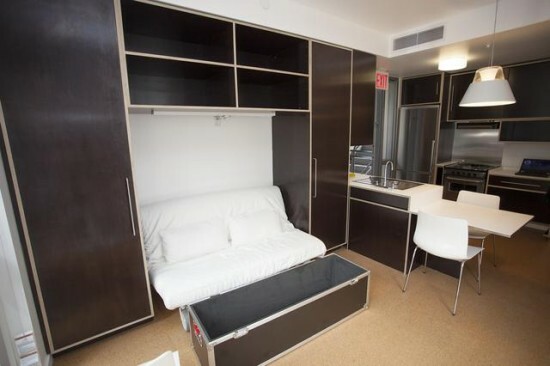 New York City’s Office of Emergency Management has opened a full-scale prototype of its temporary housing units that would shelter those displaced from the next Sandy-like storm. 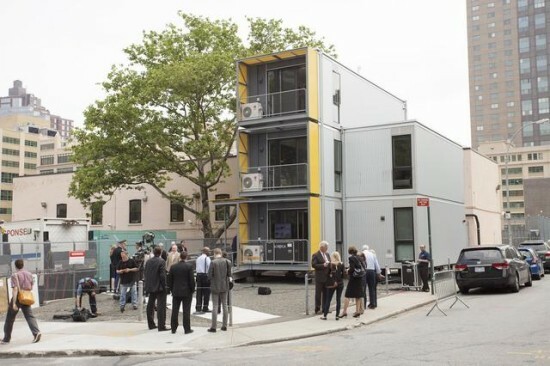 The OEM describes “The Urban Post-Disaster Housing Prototype Program,” as a “multi-story, multi-family interim housing solution that will work in urban areas across the country.” The prefabricated structures are designed by Garrison Architects and intended to be dispatched quickly after an emergency and assembled on-site. 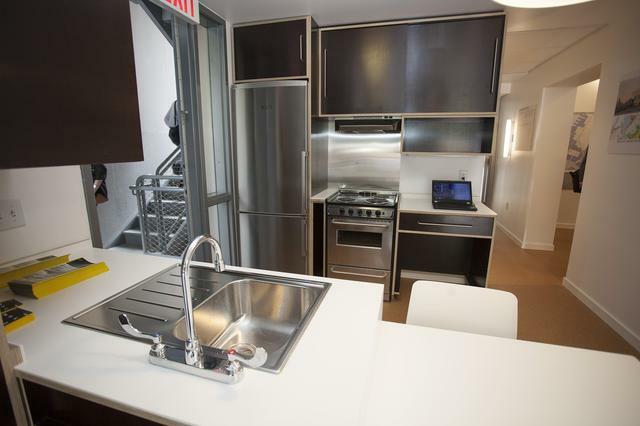 The individual housing units are currently on display in Brooklyn and range in size from 480-square-feet to 813-square-feet. According to Gothamist, the temporary homes include bedrooms, a bathroom, a balcony, a kitchen, and storage space. They measure 40-feet wide by 100-feet long. The prototype will be tested in the coming months by city officials and local universities. In the next few weeks, a gallery will open inside the structure to explain the project’s development process to the public. This is not the first time Garrison has been tasked with creating resilient, modular structures for New York City. Last summer, the firm’s 35 prefabricated lifeguard stands and bathrooms opened at Rockaway Beach. But shortly after they appeared, some of the stations began rusting and leaking. At the time, DNA Info reported that the railing on one station had to be secured with duct tape. And since July, two of the stations have been covered in a tarp, placed behind a locked fence, and guarded around-the-clock with security. A Parks Department spokesperson told DNA that the bathrooms will be reinstalled later this year.